Over the past few years, more and more colleges and universities have begun offering free online courses. At first these courses were more for older people, interested in learning more without having to actually attend college all over again. But recently, the free course offerings have blossomed into virtually every discipline imaginable. While free online courses are great, don’t be fooled into thinking they are the solution to your problems. Below are some things to keep in mind when getting a free education. The biggest drawback of free online courses is that they are non-credit courses. This means you take the courses more for pleasure than anything else. You can’t take Physics 101 and think that you can transfer that course over to a college or university for credit. They don’t work that way. Additionally, you can’t take all of the courses that make up a major at a college and expect to receive a degree in that field of study. Yes you can say you took the courses on your resume, but don’t put down that you have an actual college degree because you don’t. Of course, free online courses aren’t just for pleasure. You can use them to your advantage. Let’s say you need to strengthen your computer skills at work or need to know more about a particular discipline that will help you get ahead. In this case, taking these courses can help you tremendously. Again though, don’t expect your employer to give you a raise because you have more education. You will only get a raise if you apply the lessons learned to your job and become a more valuable employee. Personally, I’ve gone this route. I primarily work with Excel and wanted to strengthen my understanding of macros and pivot tables. By taking some free online courses, I was able to learn a lot. I didn’t get a raise from my boss, but I was able to streamline some processes and take on new challenges because I better understood Excel. In both these cases, I became more valuable to my company and this eventually lead to a raise. Another great benefit of free online courses is allowing you to try out a new career without going into debt over it. Let’s say you have an interest in a certain field of study, social work for example. Instead of quitting your job and starting over on a whim, you can take a handful of classes and see if this field of study really does interest you. For me, I have done just this. I enjoy computer programming, but am unsure if it is really what I want to do. I found a site that offers free online courses that I can learn the basics. So far, I am still very interested in learning more. I enjoy it because I can take these classes at my leisure and not go into debt seeing if this is something I want to pursue. 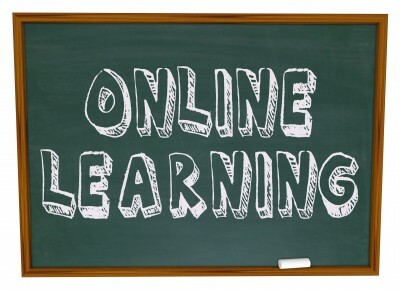 Overall, free online courses can be a great benefit to you. You can learn for the sake of learning, you can improve yourself for your current career, or you can test out a new career without making any life-changing decisions. The only downside is that they won’t get you closer to a college degree. This shouldn’t be an issue if you go into taking free online courses for the reasons I highlighted above. I have a friend who takes online course, his client asked him to take an E-commerce course through online. He finished his online course for 3 weeks and he learned a lot from it. I’ve had a previous employer have us take online courses. It keeps us current with the industry and doesn’t cost the company anything. I love free online courses! The husband is going to take some to become familiar with certain software before he graduates school and (hopefully!) lands a job. That’s a great way to take advantage of free online courses! Even though the free online courses are non-credit courses but one can gain the knowledge and strengthen the skills by attending the courses in the free time. It’s really a great opportunity for everyone to sharpen their skills. I really appreciate the universities providing free education and spreading the eduction and enhancing the literacy. Thanks for sharing a great blog. Feel glad to read the blog, keep blogging.